If you can only spare time to go for a short holiday to Brazil, you won’t be able to see everything, but it will still be a blast! 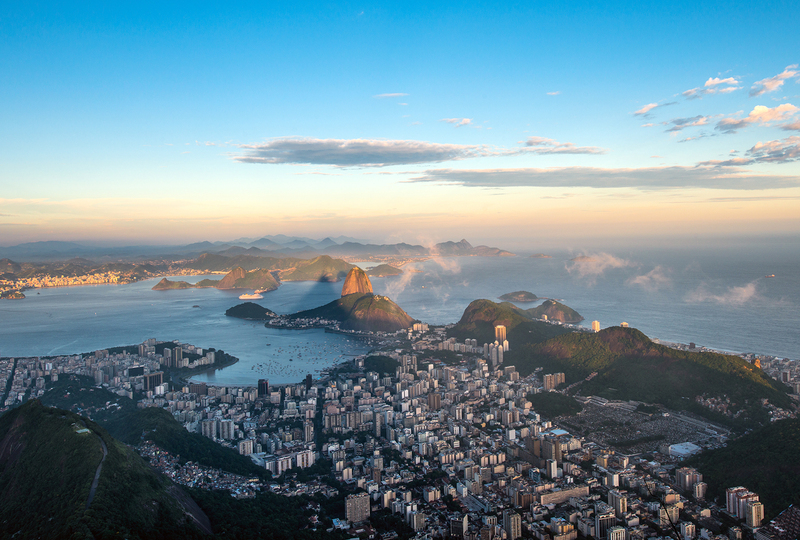 There is one city you must visit, and that is Rio de Janeiro. Here is an itinerary for a short 4-day weekend trip to this beautiful city. Arrive at your hotel in Rio de Janeiro and settle down. The first thing in Rio you have to see is the beach! 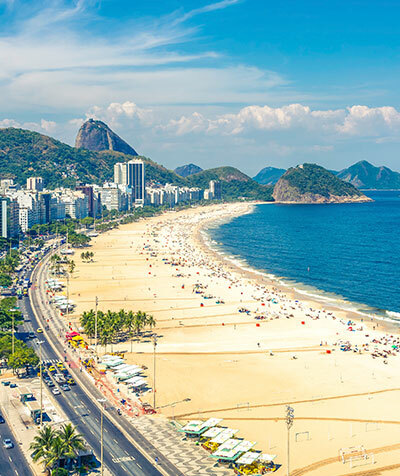 Head down to Copacabana beach and enjoy a relaxing stroll. Catch the sun setting over the bay if you can. If you arrive later at night, skip the beach, and head straight for dinner. If long flights tire you out, refill at Churrascaria Palace, a traditional Brazilian barbeque restaurant. It is located within walking distance of Copacabana beach at Rua Rodolfo Dantas, 16, Copacabana. After a filling up ondinner, head back to the hotel or wind down the night at a bar. Cervantes bar has been in Rio for 56 years, a quaint place with great beer. Also located within walking distance at Rua Barata Ribeiro 7, Copacabana. Wake up bright and early, lots of sights to see today! First head to Christ the Redeemer (Cristo Redentor); it is better in the mornings when the sun isn’t too high up yet. 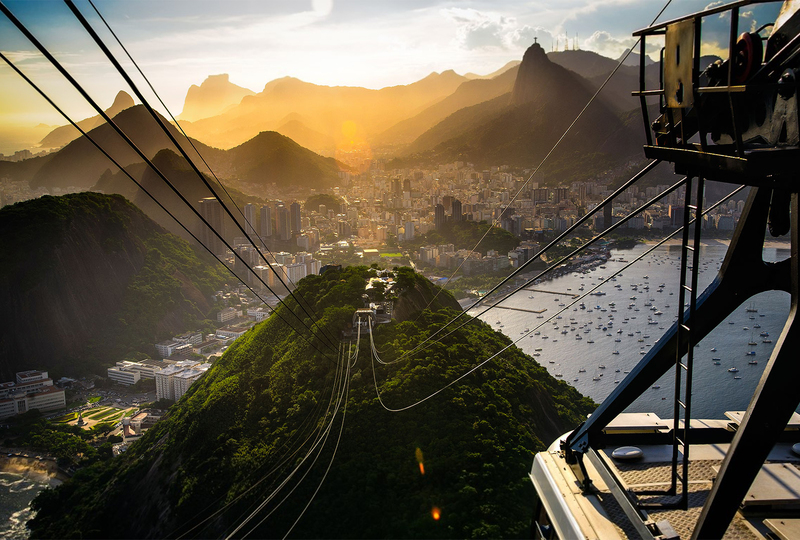 Head to Cosme Velho to take the tram up to Cristo Redentor, or just take a tour bus straight up to the top. From there admire the view of Rio down below you. Once you have had enough, take the tram back down the hill and head to the bohemian area of Santa Teresa. This area has many small winding streets with many small stalls and quaint cafes. The closest metro station is Uruguaiana, or again, simply take a taxi. Head for lunch at Sobrenatural, a great place located just at the start of the main shopping area. It serves up a bevy of delicious seafood that would make anyone’s mouth water. Find them at Rua Almirante Alexandrino 442. After lunch spend time to explore and shop in the area. Tonight is Saturday night, and that means time to party! Brazilians do not normally start their nights until very late, sometimes not until 1 or 2am. If you think you will not make it to this late before you fall asleep, consider taking a rest at your hotel and waking up at around 11pm to head out again. If you are not too interested, or are superhuman and can stay awake that long, spend your evening in the district of Lapa. It is just a short trip north of Santa Teresa and is filled with quaint bars and street side stalls called botecos. Grab a beer and wind down for the night. If you are still going strong or elected to have a nap, put on some evening clothes and head to one of Rio’s famed samba bars. Rio Scenarium is one of the best choices. Also located in Lapa at R. do Lavradio, 20 – Centro, this Samba house is situated in an old colonial mansion. Enjoy the lively dancing, and if you get too tired there is a big balcony to relax. Make sure you get one of their famed Caipirinhas! Let the night take you away and see if you can party till the morning like the Brazilians! Have a sleep in from your long night; wake up later at around 10 or 11am. 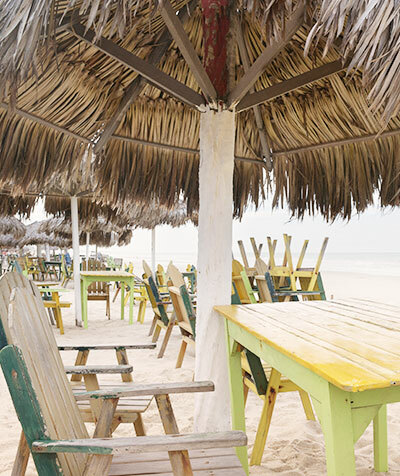 When fresh and awake, head down to Ipanema beach. The Hippie Fair is open on Sundays and it is a great place to buy small crafts and souvenirs. All the roads are closed, so walking around is easy and safe. Head to Amazonia Soul for a pick me up light breakfast before your shopping. Here they serve Acai berry sorbet, but unlike other places, at Amazonia Soul they do not drown it in extra sugar, making it a healthy and rejuvenating snack. Add some granola or extra fruit to it if you wish. They are located at Rua Teixeira de Melo 37 near the General Osorio metro station. After you are done shopping in the hippie fair, Head to Casa da Feijoada for a lunch of Brazil’s national dish, Feijoada. This hearty stew will give you the energy for the rest of the day! 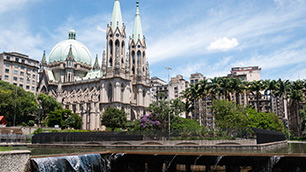 They are also located near General Osorio metro station at Rua Prudente de Morais 10. Now head over to Sugar Loaf Mountain for a relaxing Afternoon. 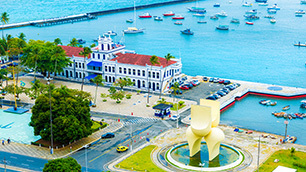 Take a taxi to the cable car station at Praia Vermelha, or take a metro to Botafogo station and a bus or taxi from there. 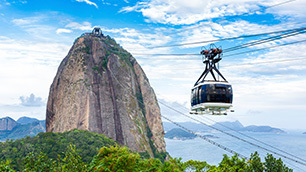 There are two stops on the cable car, one at Morro da Urca and the final station at the summit of Sugarloaf Mountain. Both the stops have viewing platforms with ample restroom facilities. Enjoy the views, and catch the sunset from atop the mountain. For those willing to spend, helicopter tours can also be rented from Morro da Urca. After your sightseeing, head back to your hotel and change into something classier. Now that you are all dressed up, head to the district of Leblon. Here, fancy dressed locals enjoy their evenings dining at the upscale restaurants and the classy bars. Have dinner at Antiquarius, famed for their flawless cooking of classic Portuguese cuisine. They are located at Rua Aristides Espínola 19. After dinner head for a nightcap at Bar D’Hotel, a famed bar filled with the high class and elite, overlooking the ocean at Avenida Delfim Moreira, 696 – 2nd floor. If you are looking for something different, there is also Academia da Cachaça, a bar that has over 2,000 different examples of the Brazilian liquor Cachaça. They can make you the best Caipirinhas in the world and are located at Rua Conde Bernadotte 26, Shop G.
Your last day in Brazil. Depending how much time you have until your flight, you could spend it at the beaches again. There is much to do there and many restaurants to explore for yourself. Make sure you leave enough time to pack up your belongings and have a safe flight! Alternatively, if not interested in visiting the cities, one could rent a river cruise in the Amazon. 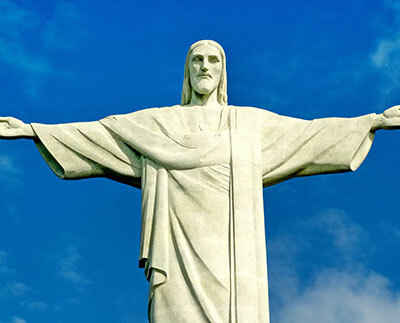 Book your tours online before heading out to Brazil. Rainforest Cruises offers great trips ranging from comfortable to luxurious boats. Find them at their website or contact them at cruise@rainforestcruises.com. Most of these cruises start in the city of Manaus, so that’s where you will be flying to! Enjoy your short trip to Brazil!